We understand that not all beds are standard sizes. Here on the Yorkshre coast there are hundreds of holiday homes and static caravans and it's not unusual to find the beds within them are a funny size. 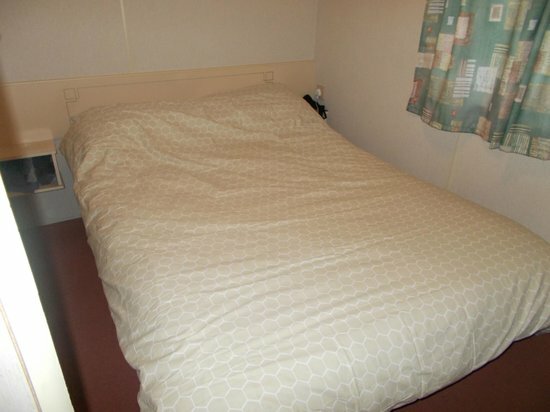 Quite often caravan suppliers will save space in bedrooms by making the beds shorter or narrower than those found in reguar homes. Typically we find that the main bedroom has a double bed only 6'0" long (whereas a standard double bed is 6'3"). 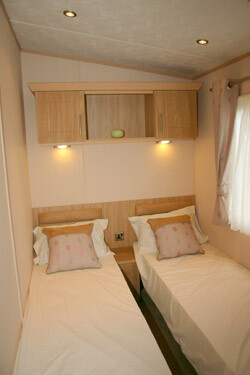 Also twin rooms beds can often be only 24" wide or sometimes even narrower. Occasionaly customers require a bed that is longer than usual. Several manufacturers are happy to set up machines to make a bed or mattress the size you need. Sprung mattresses can usually be made bigger or smaller in increments of around 3" (8cm) which is roughly the size of each spring. There is usually an additional charge of 10 - 20% or more for making bespoke beds and mattresses to order and this varies depending on the size and the producer. For great value caravan mattresses we recommend looking at our Slumbernest range. All but the cheapest model (the Robin) can be produced to your specification, and these can typically be supplied within just a few days. For mid range products, Sweet Dreams offer many of their mattresses in special sizes. For a top quality product Hypnos mattresses are all made to order to your specification and would be worth considering. Why not give us a call, or pop into to the store to discuss your requirements. We're always happy to help and advise.